The Avocent DS Series 16-port Avocent DSR1020 KVM over IP switch provides BIOS-level control of all connected servers and serial-based devices in your data center. For easy access to your network devices, the Avocent DSR1020 KVM Over IP Switch (DSR1020-001) includes a USB port, the ability to remotely power cycle connected devices and external modem support when the network is down. 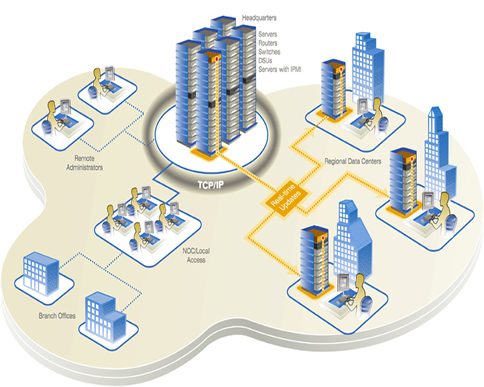 DSView 3 management software, with hub and spoke architecture, provides failover authentication. Users authenticate to a central management server (the hub) or one of 15 mirror servers (the spokes). SNMP and IPMI support are also provided.